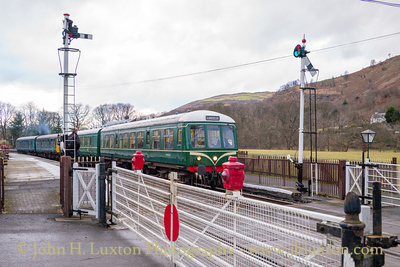 God's Wonderful Railway though the Dee Valley - -Llangollen Railway photographed during 2016. 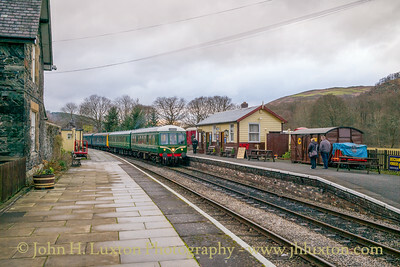 DMU departing Glyndyfrdwy Station bound for Llangollen. 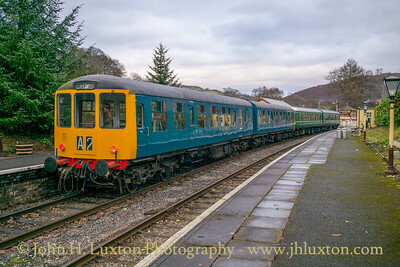 Trains cross at Glyndyfrdwy Station during the 2016 Winter Warmer Gala. 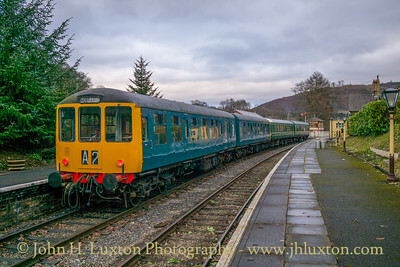 Class 26 D5310 and Standard Class 4 Tank No.80072 double head a Llangollen to Carrog Train into Glyndyfrdwy Station during the 2016 Winter Warmer Gala. 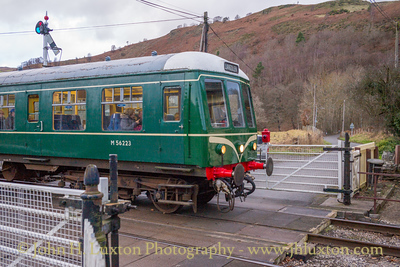 Llangollen bound DMU at Glyndyfrdwy awaiting to cross a Carrog bound train. 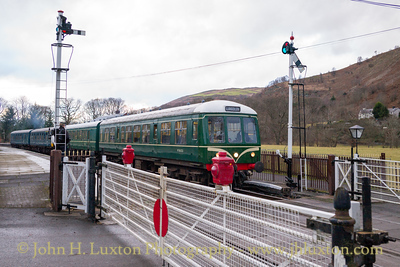 DMU arriving at Glyndyfrdwy from Carrog bound for Llangollen. 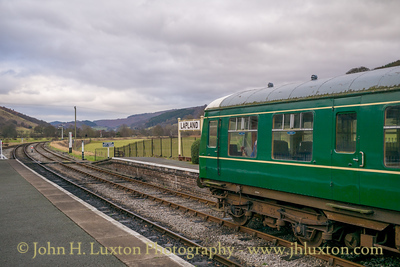 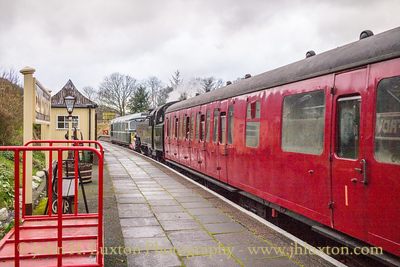 Hudswell Clark tank locomotive JENNIFER arriving at Carrog Station with a train from Llangollen. 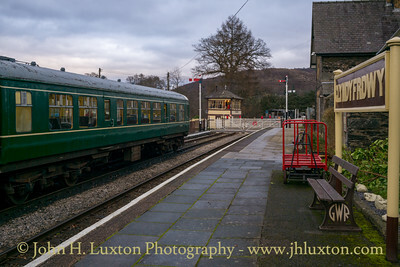 The locomotive has been away from the railway for many years. 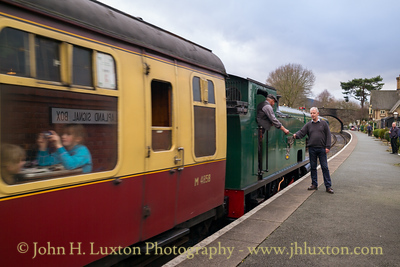 Perhaps this should be titled arriving at Lapland!? 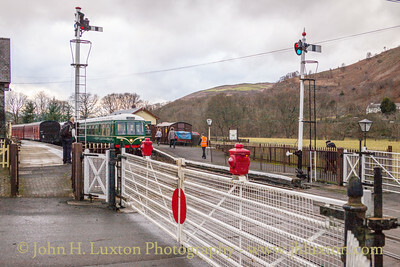 Hudswell Clark tank locomotive JENNIFER arriving at Carrog Station with a train from Llangollen. 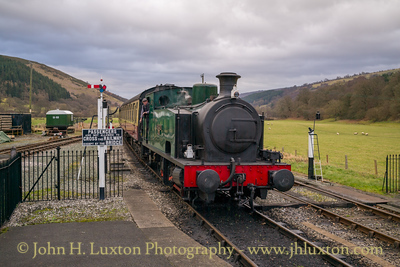 The locomotive has been away from the railway for many years. 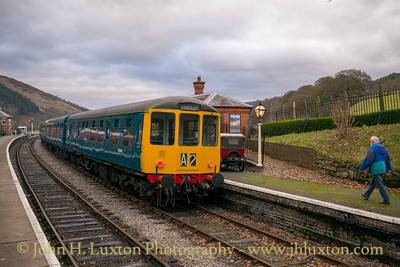 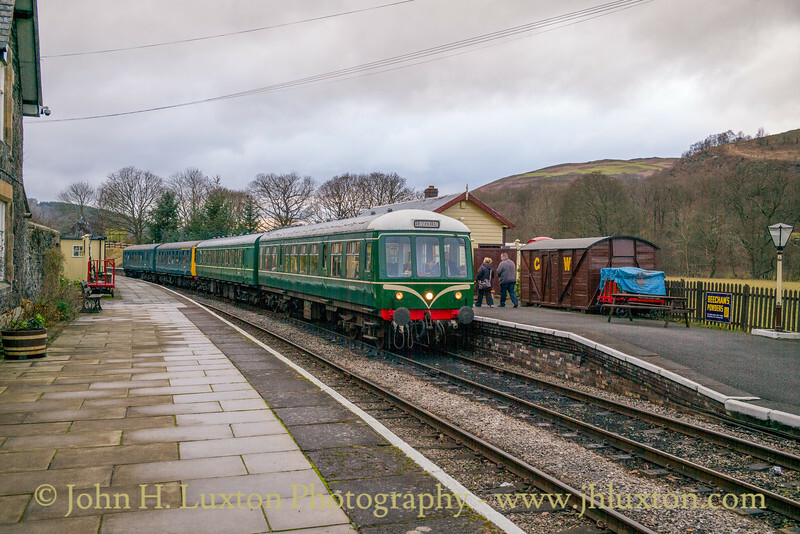 Four car DMU set at Carrog Station during the 2016 "Winter Warmer Gala". 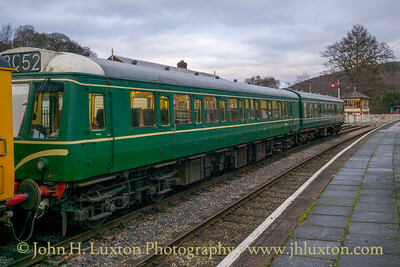 Note the "LAPLAND" running in board! 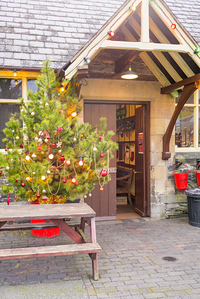 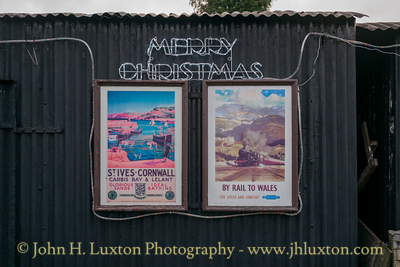 Christmas decorations at Carrog Station. 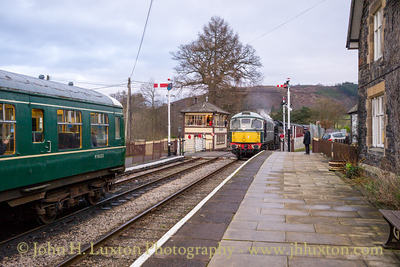 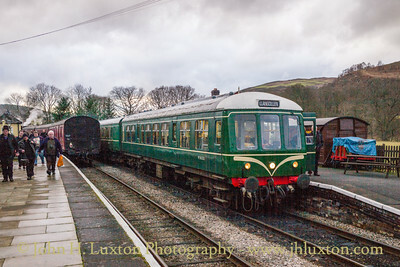 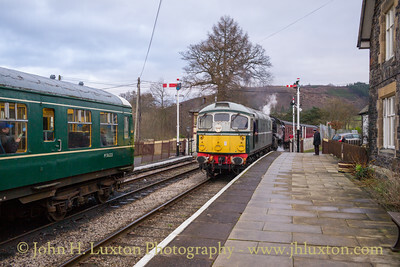 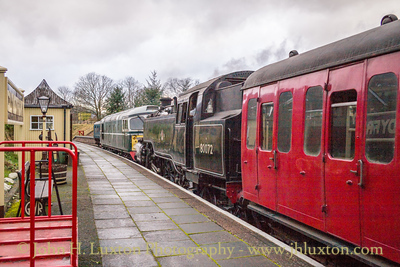 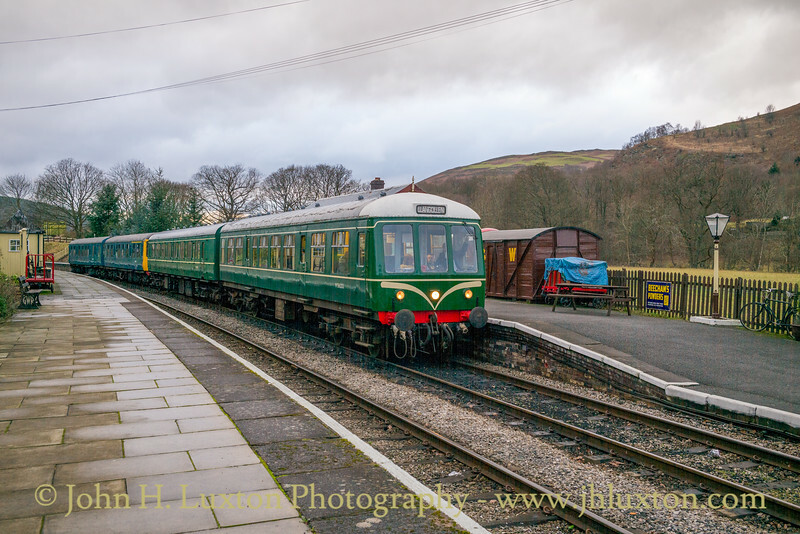 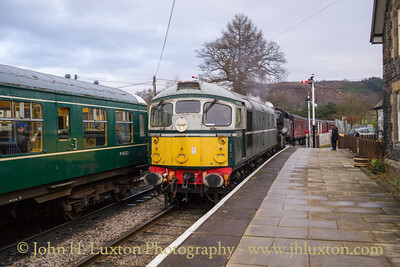 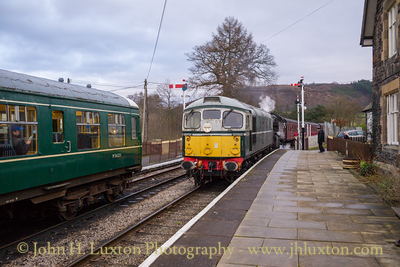 Four car DMU set at Carrog Station during the 2016 "Winter Warmer Gala"